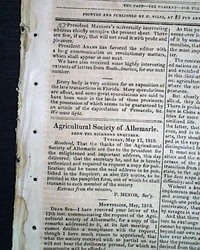 NILES' WEEKLY REGISTER, Baltimore, July 18, 1818 Of importance is the multi-page printing of former President James Madison's Address to the Agricultural Society of Albermarle. 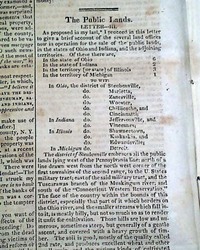 NILES' WEEKLY REGISTER, Baltimore, July 25, 1818 The prime content is a detailed report of the capture of Pensacola, Florida during the Seminole Indian war. 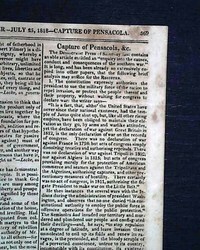 American forces were led by Andrew Jackson who felt Pensacola was being used by the Seminoles for strikes against America. 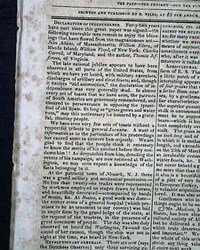 Also a very lengthy & detailed report on the death and funeral of General Richard Montgomery.